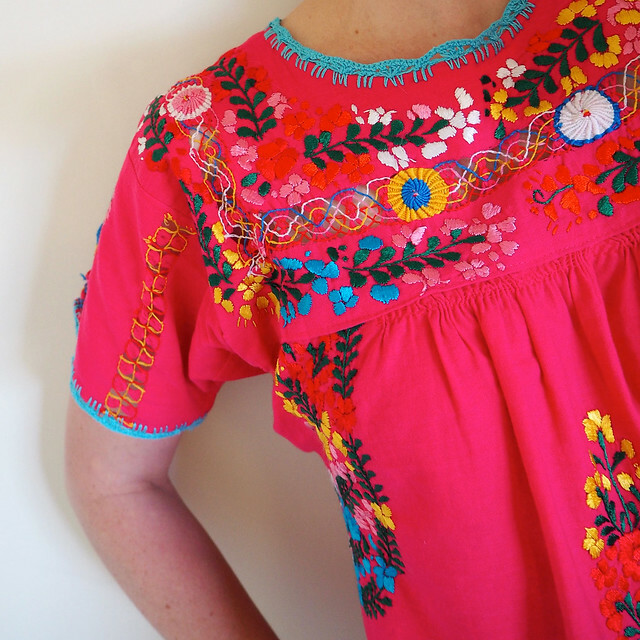 This week I had a chat with Tara from Stitch & Yarn who will be teaching us how to make a traditional Mexican embroidered blouse in a four part course starting next week. The course will run from 6-9pm each Tuesday evening and can be booked here. Hi Tara! Tell us a little about yourself and your craft? I've been crafting for as long as I can remember, almost always textile related. My Mum and Nana were both huge influences on me. My Nana has passed away, but Mum and I still share a lot of tips and hints for projects we've got going on. In the last couple of years I've become more serious about my craft. 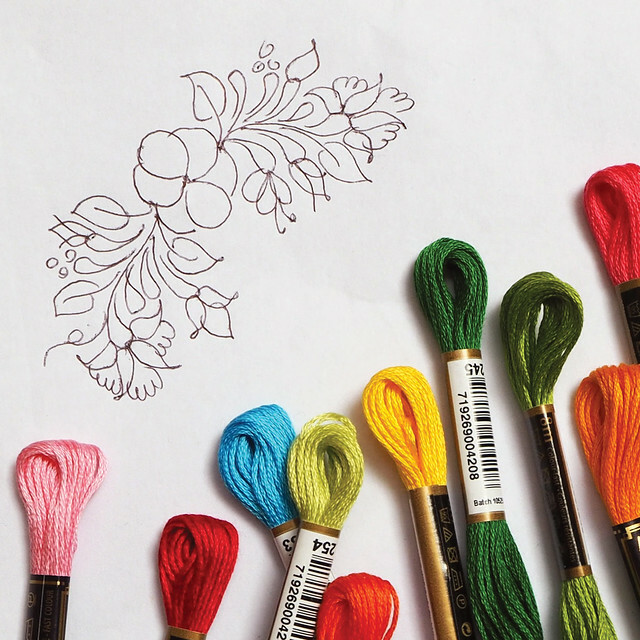 I've thrown in my job and moved to Melbourne to see where this textile journey takes me. You spent some time in Mexico. Tell us a little bit about your time there. 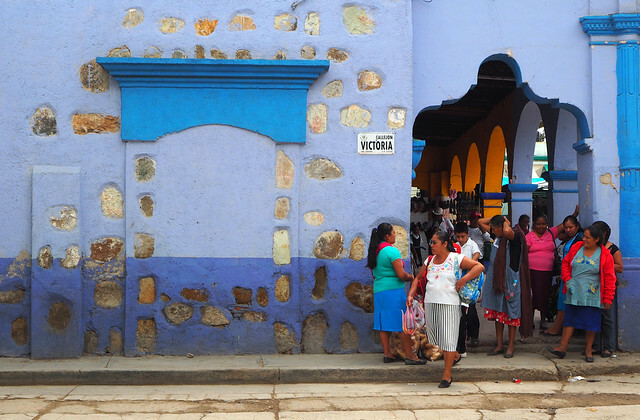 Last year I spent a couple of months in Oaxaca, Mexico on a textile artist's residency. 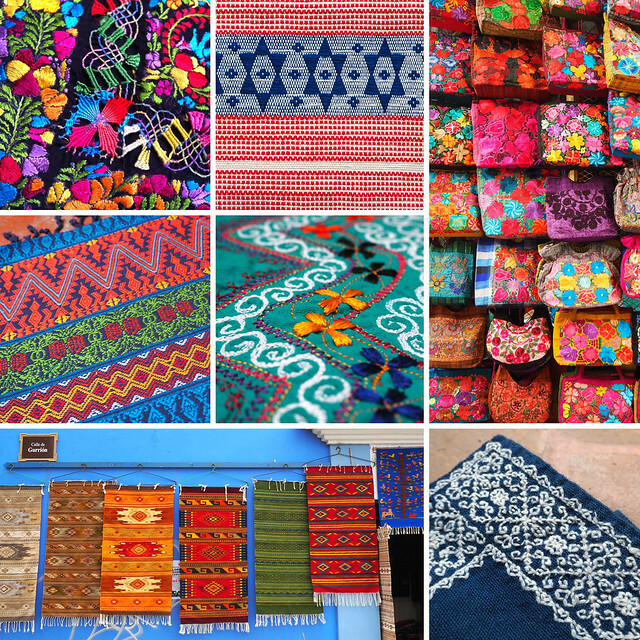 It was a wonderful experience to immerse yourself in a country that still has this vibrant, living textile tradition that has been around for centuries. I spent half my time there weaving and the other half embroidering. The work the people do there is breathtaking and it was a real honour to learn from such masters. 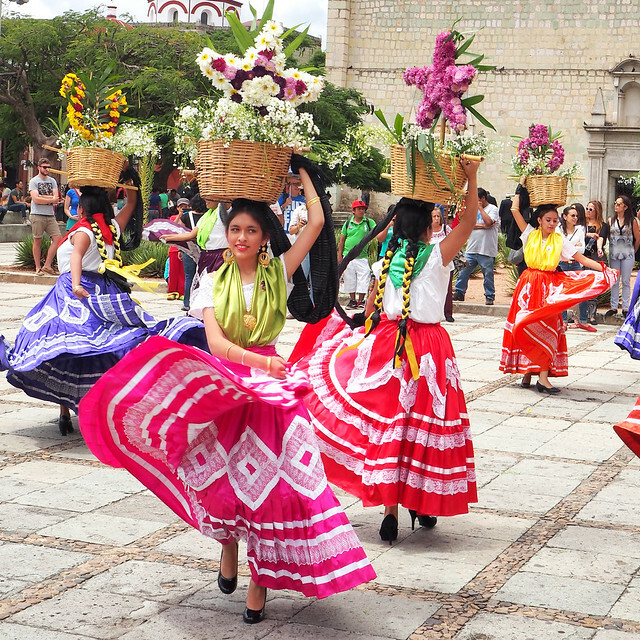 Give us a rundown of the work that goes into making a Mexican blouse. The Mexican blouse is really made up of four techniques. First is the sewing of the blouse, then there is the embroidery of the bodice, the smocking-type stitch at the bustline and the crochet to finish the edges. It can look complicated, but really it's made up of very standard stitches known the world over. I also found each maker has their own style – some were very relaxed with their stitching (which certainly makes it quicker to finish) and others were very precise – they all look amazing when they're finished though. The traditional Mexican blouse can be a bit boxy and ill-fitting under the arms, but I've made some pattern adjustments, so those doing the class should be able to achieve a really nice fit. What kind of tools and materials are required for the job and do you have any favourites? Needles, embroidery floss, embroidery hoop, perle cotton, crochet hook, scissors, etc are all the bits and pieces needed. I think the thing I'm fussiest about is the embroidery hoop. It's just a cheap wooden one that I use, but it really holds the fabric taut, which is what you need. I'm a big fan of Instagram and my feed is mostly about my work and my travels. I'm constantly overwhelmed by the positivity and support of people on there. You hear so often how things can go wrong on social media, but I've just found a very warm community on Instagram. What are you working on right now and what would be your dream project? I always seem to have a ton of projects on the go... If I look over at the WIP written up on my fridge it's got about a dozen projects on it, including two Mexican blouses – one with a looming deadline! I was so inspired by the patterns and colours of Mexico though, particularly the dye cochineal, which can create a third of the colour spectrum when mixed with different additives, so I have a number of projects based on that trip that will eventually turn into quilting and sewing patterns. At this point, my dream project is to create a few knitwear patterns, but they're still in rough sketch stage at this point! I have two major inspirations. The first is travel. 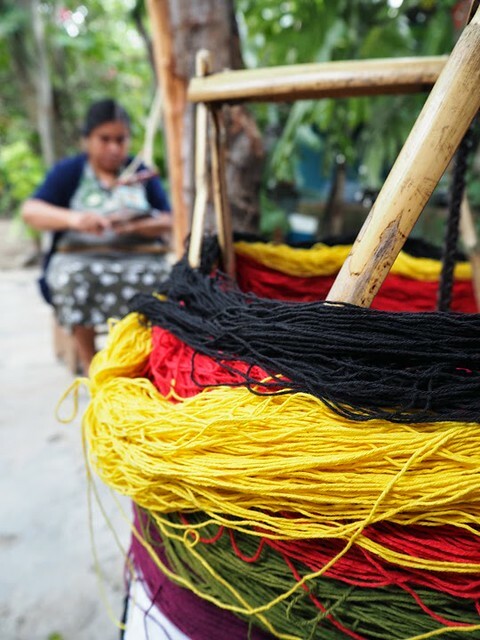 I love going to places with rich textile traditions and getting to learn from those makers. I'm heading off to India later this year and can't wait to see what that inspires. The other is the web. Honestly, I've found so many amazingly talented people on there. It really connects you to other crafters who are going through the same struggles and issues as you.